After the likes of Femke Heemskerk and Ranomi Kromowidjojo were in action on day 1 of the KNZB Challenger in Dordrecht, several Dutch national teamers were back in action on day 2 (though neither of those two competed). 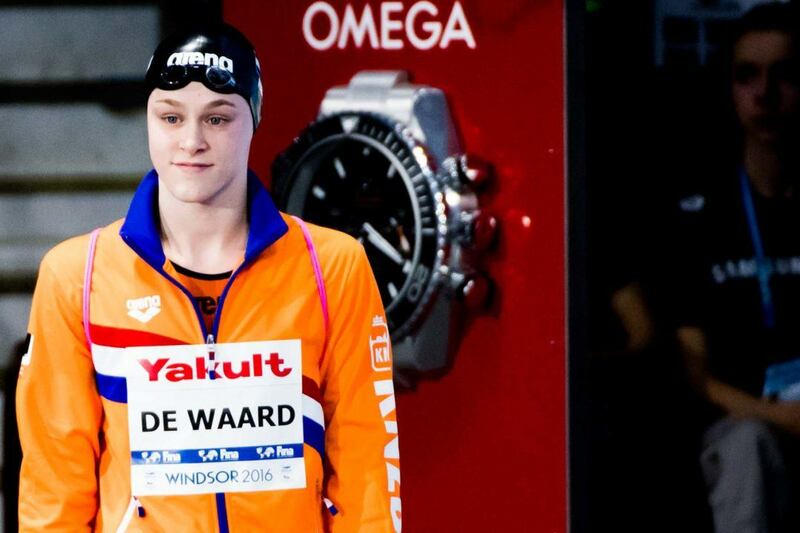 Highlighting the second day was Maaike de Waard, who had a pair of wins in the sprint backstroke events. First, in the 100 back, de Waard produced a time of 1:01.85, splitting 29.9/31.8, winning by nearly a second. Given this being an in-season meet, she was impressively less than a second off her 2014 best of 1:01.01. Tessa Vermeulen was the runner-up in 1:02.82. Her best, set last month, is 1:00.67. In the 50, de Waard won easily in 28.53, with 2nd going to Marjolein Delno in 29.94. Delno was also the runner-up in the 50 free, going 25.52 as Tamara van Vliet exploded for a very impressive 24.76. That came just over a tenth off her all-time best of 24.64. On the men’s side, Stan Pijnenburg was among the top performers with a pair of wins in the 100 free and 50 breast. In the 100 free he took out Maarten Brzoskowski (51.55) and Ben Schwietert (51.58) in 50.21, with solid splits of 24.59/25.62. He also won the 50 breast in 28.97. The other big swim of the meet was Mathys Goosen in the men’s 100 fly, as he uncorked a 53.99 to top Brzoskowski (55.14) and Arno Kamminga (55.40).